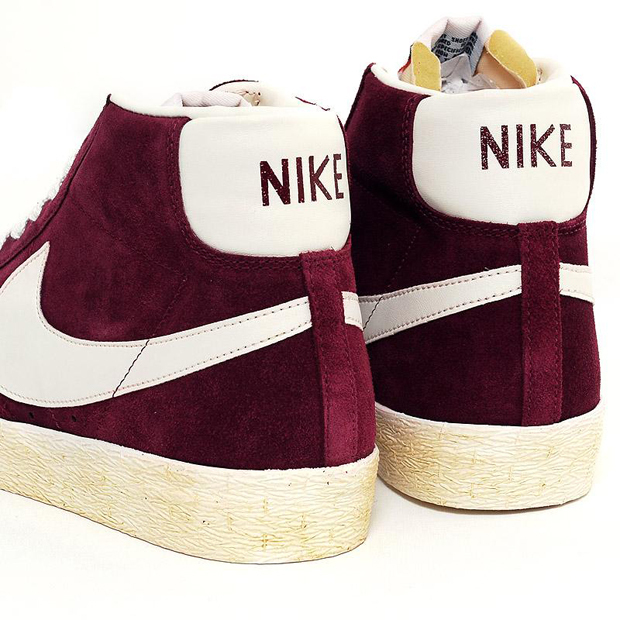 The ever popular Nike Blazer Vintage gets another Quickstrike outing with this release that see’s two new colour-ups, spice and burgundy. 1973 saw the release of this hoop classic and it’s still loved today. 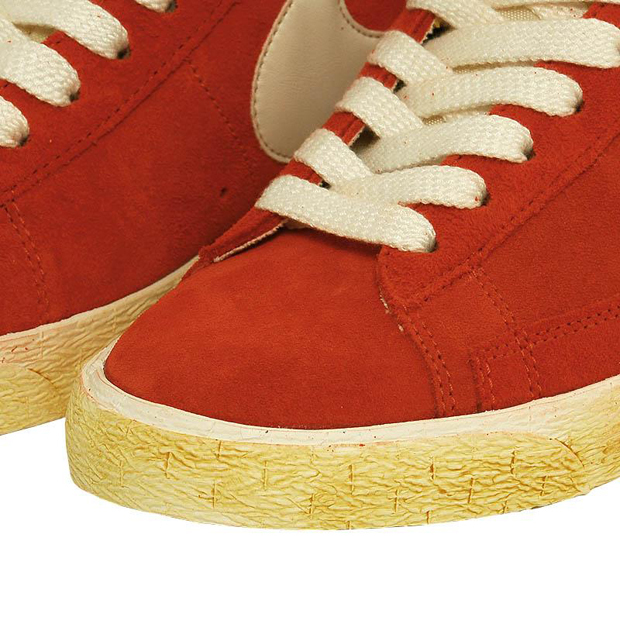 The vintage treatment and suede material choice make for a classic look that fits well into today’s styles. That’s the great thing about the vintage Blazer, it fit’s into a range of styles and has huge appeal to both male and female consumers. This release see’s two colour-ups that will appeal to everyone. My personal favourite is the Burgundy, but the Spice is also a great look and I can see a lot of people going in on both. 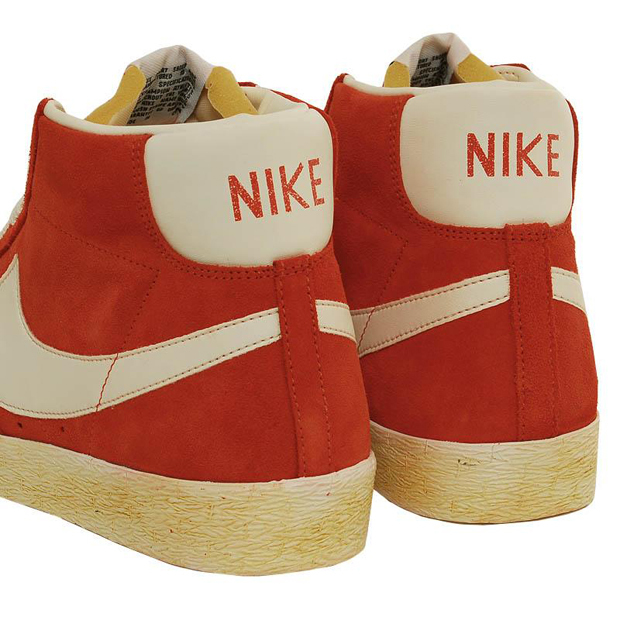 Once again, an all suede upper sits on a midsole that has been given the vintage treatment and that fat belly swoosh is ever prominent. Both available from End Clothing now. UK customers also get free delivery on their orders until Christmas. Where do i get the Burgundy blazers from?? I’d be very surprised if you could find them in stock anywhere now I’m afraid Janna. 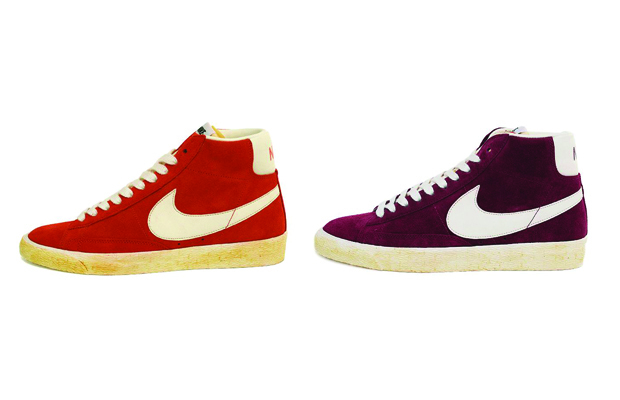 Apparently the burgundy blazers have come back in stock in niketown, oxford street since the 17th, is this true? 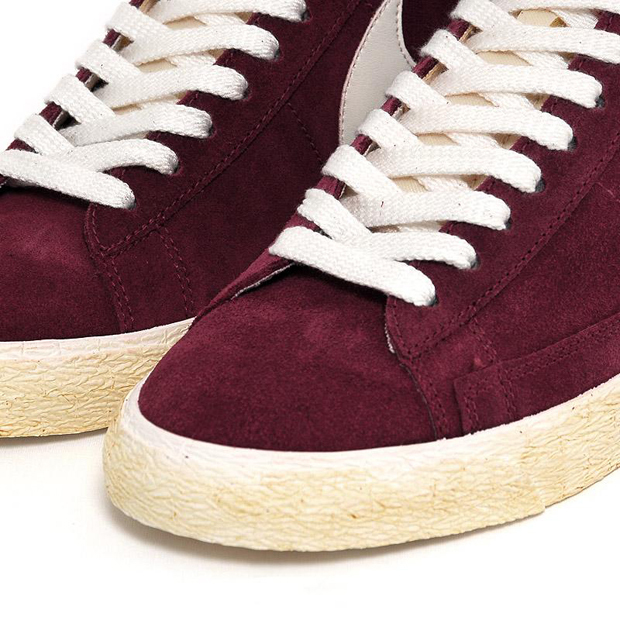 Where can i find the burgundy blazers? 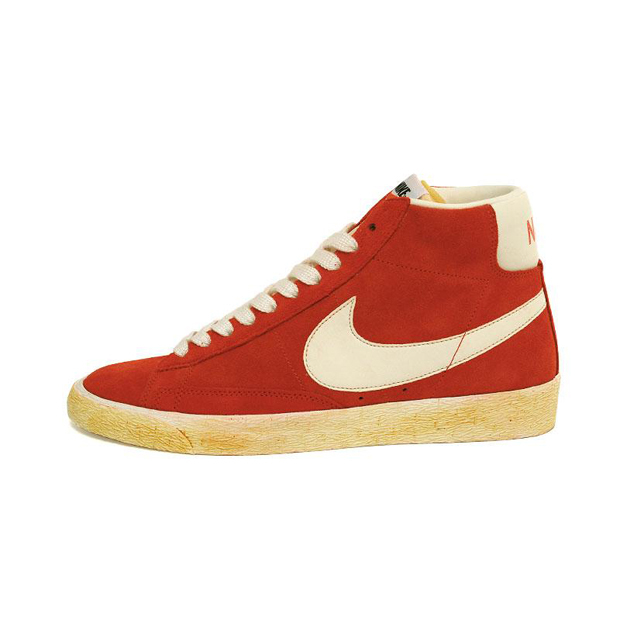 where can i get the burguny blazerz, ive searched everywhere? ?